Perhaps one of the most common questions on the forums is “Can I connect to my SQL Sever named instance using the IP address and/or TCP/IP port number?”. It was this question that prompted me to write today’s post. Last week, I wrote about how to use SQL Server utilities to determine the port number on which the SQL Server service is listening for connection requests. I will be using this information as base to start off today. You can get information about the hosts’ IP address can be available by using the “ipconfig” command line utility. I hope that this post will be helpful to all those who are looking for solutions on how to use the TCP/IP address and port number to connect to a specific SQL Server instance. Please note that using IP addresses and port numbers may not be a successful connection strategy if the server is on a DHCP network (where the IP address may change with each restart). 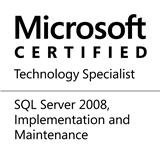 This entry was posted in #SQLServer, Blog, Imported from BeyondRelational and tagged #SQLServer on April 16, 2012 by nakulvachhrajani. If you can connect to a SQL Server instance by name, then the name is registered within DNS. Just ping the name and you’ll be able to determine the IP address of the database server. No reason to run ipconfig on the server itself. Servers should have static IP addresses. Absolutely, Marc – I agree that servers should have static addresses. The reason I have put that line is that I have seen production servers using DHCP. All it takes is one restart of the DHCP server itself for the novice IT team to realize they are in deep trouble. In fact, I always prefer connecting to SQL Servers using the fully-qualified instance name, and not through the IP address.